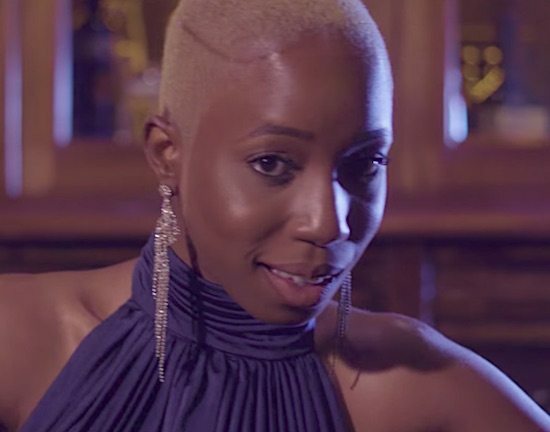 Singer/songwriter NC Grey is a British-Nigerian who calls Dublin, Ireland home and makes music that is a fusion of jazz, soul, neo-soul and R&B. That blend of genres can be heard on her recently released debut, Magic The EP. The four-song collection is led by the single "Adonis," a soulful jazz number about a woman fantasizing about being more than friends with her best friend to no avail. Now Grey premieres the music video for "Adonis" exclusively with SoulBounce with a gorgeous visual. To bring "Adonis" and this tale of unrequited love to life, NC Grey enlisted the talents of Ovie Etseyatse, an Irish-Nigerian multidisciplinary artist and filmmaker to direct. The video begins with NC traipsing through a field of wildflowers before the scene changes to a city street. Grey makes the sidewalk her catwalk as she looks fierce and struts toward her handsome leading man. They greet each other with a warm embrace and she beams with joy. Ovie focuses his camera on NC and her guy friend getting cozy together in a study and enjoying a romantic lunch. NC has hearts in her eyes and love on her mind. Unfortunately, she doesn't see the plot twist coming and is quickly brought back to life back to reality and finds that she can't escape the friend zone in the end. Beyond the surface, the "Adonis" video has a deeper meaning. "There's the conversation of us, as black women, waiting on our black knights or 'Adonis' in this case, to come swoop us away," Grey acknowledges. "We've almost idolized our ‘black love’ fairy tale. On the other side, Adonis hasn't limited himself to this fairy tale.” NC Grey and Ovie deftly snuck that message in that many can relate to. Whether you have found your "Adonis," are still waiting on your "Adonis," have given up the search for "Adonis" or are an "Adonis" yourself, NC Grey has provided some entertaining food for thought. Keep up with her via her website, Facebook, Twitter and Instagram.